Phyllis Robison, 89, of Waukegan, passed away peacefully on Wednesday, October 19, 2016. The daughter of Elizabeth and Arthur “Red” Tindale, she was preceded in death by her husband Carl and all of her siblings: Kenneth (Betty) Tindale, Audrey (Tim) Counihan, Diane (Howie Mordhorst), and Cheryl (the late wife of Jack McLellan); and her brother-in-law John (Norma) Robison. She is survived by her children Patty (John) Idstein, Dan (Nancy) Robison, and Beth Zaloum. She greatly loved her grandchildren: “The Grosvenor Boys” Ed (Justine), Dale, Brad (Lindsay) and Brian (Leeza); Becky and Molly Robison; Patrick, Kirstin, and Sean Zaloum; and her many great-grandchildren. She also leaves behind her sister-in-law Joan Robison and a large group of nieces and nephews whom she loved, and who remain very close as a family. A private celebration of life service will be held at a later date. Arrangements were entrusted to Strang Funeral Chapel & Crematorium www.strangfuneral.org. Marilyn L. Roberts, 71, a resident of Lake Villa, IL since 1994 and formerly of Hopewell Junction, passed away peacefully on October 23, 2016 at Advocate Condell Medical Center. Born in Passaic, NJ on June 22, 1945, she was the daughter of the late Louis Rehm and Elizabeth Aubel Weber. Marilyn was a highly respected registered nurse since 1975. She had worked at Advocate Condell Medical Center. Prior to moving to Illinois, she had worked at Somers Manor and Kent Nursing Homes, and Vassar Brothers Medical Center. She was a talented quilter and she loved traveling to Florida and New York to visit with family and friends. A very kind and giving woman, Marilyn touched an amazing amount of lives. On November 15, 1975, Marilyn married Allan Roberts who survives at home. She is also survived by her daughters, Dawn Roberts of Lake Villa, IL, and Sandra Roberts of Stormville; and her grandchildren who she loved spending time with, Tyler, Claire, Angelina and Vincent. Calling hours will be held on Friday from 10am to 12pm at the McHoul Funeral Home, Inc., 895 Route 82, Hopewell Junction. The funeral service will be at 12pm followed by interment in Hopewell Cemetery. A Memorial Service will also be held at the Advocate Condell Chapel on Friday, November 4, 2016 at 12:00 p.m. Please enter the hospital via the new west tower. In lieu of flowers, memorial donations may be made to the American Heart Association, Chicago Chapter. Please visit Marilyn’s Book of Memories at www.mchoulfuneralhome.com. David W. Barnes, 57, a resident of Lake Villa, passed away Sunday, October 23, 2016 at his home. He was born November, 11, 1958 in Chicago, IL to David and Sonja Barnes. David was an avid guitar player and loved music. David is survived by his wife of 32 years, Donna, his parents David and Sonja Barnes, his children Melissa and Cameron, his mother-in-law Irene Muellner, many nieces, nephews, aunts, uncles, and cousins, and good friends Rich and Joe. He was preceded in death by his father-in-law John F. Muellner. A visitation is scheduled for Wednesday, October 26, 2016 from 3:00pm until 8:00pm at Strang Funeral Chapel & Crematorium 410 E. Belvidere Rd. Grayslake, IL 60030. The funeral service is scheduled for Thursday, October 27, 2016 at 10:00am at the funeral chapel. Interment will follow at Grant Cemetery in Ingleside, IL. Memorial donations may be made to the American Brain Tumor Assn www.abta.org. For more information log onto www.strangfuneral.org or call (847)223-8122. Patricia O. Kokum, 86 passed away Friday, October 21st at her home in Libertyville, IL. Patricia was born April 4, 1930 to John and Katherine O’Leary. She loved singing in the choir, gardening, and spending time with her large family. She was a long standing volunteer at Advocate Condell Hospital and an active member of St. Joseph’s Church in Libertyville. When her body was strong, she also selflessly gave her time to the local shelters and soup kitchens. Her devotion and passion was family and making wonderful memories. She enjoyed countless family vacations (Kokumfest) from all over the country including Florida, Michigan, Lake of the Ozarks, Disney, Lake Geneva, and Myrtle Beach. You could hardly ever find her without licorice, caramels, gummies, or a bear claw near by. Pat was the true definition of a fighter as she bravely and courageously fought cancer for over 27 years. She was a wonderful and beautiful person who will be missed by many. She is survived by her loving husband John of whom she was married and devoted to for 64 years. A loving mother to her sons Robert Kokum (Nancy Jones), Bill (Debbie) Kokum, John Kokum Jr. (Jongo Yuk) and Daughters Jeanne Mulcahy, Julie (Gerry) Weidner, and Christine (David) Shamrock. She was the best grandma in the world to her 15 grandchildren Sara (Cara) Wilk, Erin Mulcahy, Kristin Mulcahy, Amanda (Angel) Arzet, Will Kokum, Grace (A.J.) Kegg, Tom Kokum, Trevor Weidner (Fiancé Elizabeth Russeau), Emily Kokum, Lauren Kokum, D.J. Shamrock, Madison Beebe, Zane Val, Mackenzie Beebe, and Liam Shamrock. She is also survived by her sister-in-law Barbara (Edward) Linski, brother-in-law Leonard Graf, many nieces, nephews, and friends. She is preceded in death by her parents, sister Peggy (Hiram) Hanson, sister Jaqueline Graf, brother Jack (Kathleen) O’Leary, and daughter-in-law Janet Kokum. A memorial visitation and mass is scheduled for Friday, October 28, 2016 from 9:30am until 11:00am with a mass commencing at 11:00am at St. Joseph Catholic Church 121 E. Maple Ave. Libertyville, IL 60048. Interment will be private. In lieu of flowers donations may be made to Mundelein Seminary 1000 E. Maple Ave. Mundelein, IL 60060. For more information please contact (847)223-8122 or log onto www.strangfuneral.org. Keith Kendrick Korell II, better known as “Rick”, passed away on Tuesday October 18th after a long struggle with juvenile diabetes. Rick was born on October 31, 1944 to Keith Korell and Jean (Hollinshead) Korell in McCook Nebraska. The family moved to Grayslake, IL when he was 5, where he lived until earning his Bachelor’s at Southern Illinois University and then his Master’s Degree in Speech-Language Pathology at Indiana University Bloomington. He moved to Sterling, IL in 1972, where he spent his professional life working with kids as a speech and hearing pathologist. He had a passion for the music of Elvis and his interests included guitar, singing, and classic cars. Rick was a kind and gentle man who received immense happiness from spending time with his family. He is survived by his mother Jean, his loving wife of 50 years Carolyn, two children Michael (Amber) and Monica (Steve), brother Michael (John), sister Sylvia (Ray) and nephews Chris and Austin. A gathering to celebrate Rick’s life will be announced in the coming months. The family wishes to thank Dr. Hashim as well as the compassionate men and women of the Hospice Care Team at Advocate Condell Hospital. In lieu of flowers, donations may be made in Rick’s name to the American Diabetes Association or United Protestant Church (UPC) of Grayslake. Lindzey Manlick, age 26, passed away Wednesday, September 28, 2016 at University of Illinois Hospital in Chicago. She was born November 21, 1989 in Libertyville. Friends of the family may visit from 4:00 p.m. until 5:00 p.m. with a funeral service commencing at 5:00 p.m. on Saturday, October 22, 2016 at Strang Funeral Chapel & Crematorium, 410 East Belvidere Road, Grayslake, IL 60030. For information, please call 847-223-8122 or visit www.strangfuneral.org. Lynn M. Pfeifer, 64, a resident of Round Lake Beach, passed away Wednesday, October 19, 2016 in Lake Forest, IL. She was born December 8, 1951 in Chicago to Henry and Carol Pfeifer. Lynn was a beloved teacher at Beach Elementary School in Round Lake Beach for 39 years. Lynn touched lives of many as friend, educator, avid Cubs fan, and world traveler. Lynn is survived by her sister Dawn Pfeifer, her boyfriend Dan Mischel, her nephew Julian Pecoraro, her sister-in-law Mary Massari, and her best friend Mary Baker. Preceded in death by her parents and her brother William Pfeifer. A memorial visitation and service is scheduled for Sunday, October 23, 2016 from 1:00pm until 4:00pm with a service commencing at 4:00pm at Strang Funeral Chapel & Crematorium 410 E. Belvidere Rd. Grayslake, IL 60030. Interment will be held privately. Memorial donations may be made to the American Cancer Society. For more information log onto www.strangfuneral.org or call (847)223-8122. Howard L. Herber, 75, a resident of Round Lake Beach, IL passed away Tuesday, October 18, 2016, in Libertyville, IL. He was born June 4, 1941 in Waukegan to George and Helen Herber. Howard was a Navy veteran having served during the Bay of Pigs. Howard is survived by his children James (Joan) Herber, Tammy Herber, and Chris (Carrie) Herber, and his grandchildren Cameron and Carter Herber, Nicholas Hopp, and Owen Herber. He was preceded in death by his parents. A visitation is scheduled for Friday, October 21, 2016 from 12:00pm until 1:00pm with a funeral service commencing at 1:00pm at Strang Funeral Chapel & Crematorium 410 E. Belvidere Rd. Grayslake, IL 60030. Interment will follow at Highland Memorial Park Cemetery in Libertyville, IL. Memorial donations may be made to the American Cancer Society. For more information log onto www.strangfuneral.org or call (847)223-8122. Dorothy I. Lindh-White, 93, a resident of Grayslake, IL, passed away October 13, 2016 at Advocate Condell Medical Center in Libertyville, IL. She was born March 22, 1923 in Chicago, IL. Dorothy was a member of St. Gilbert Catholic Church and was a member of the St. Gilbert Choir for over 50 years. She was also a member of the Gurnee Viking Singers. Dorothy is survived by her children Dorothy A. (the late Robert) Pinneo, Diana M. (the late John) Michalek, Robert J. (Donna) Lindh, Jr., Penni S. (Phillip) Schimke, Lawrence J. (Sandy) Lindh, Mary E. (Pierce) Regnier, Frank J. (Christine) Lindh, Eric M. (Cindy) Lindh, 21 grandchildren, and 21 great-grandchildren. She was preceded in death by her husbands Robert J. Lindh, Sr. and Leonard White, her sister Eleanore Lindh, and her brother Frank Reiser. A visitation is scheduled for Sunday, October 16, 2016 from 4:00pm until 8:00pm at Strang Funeral Chapel & Crematorium 410 E. Belvidere Rd. Grayslake, IL. Please meet on Monday, October 17,2016 at 10:30am at St. Gilbert Catholic Church 310 E. Belvidere Rd. Grayslake, IL 60030. Interment will be follow at Highland Memorial Park Cemetery in Libertyville, IL. For more information please contact (847)223-8122 or log onto www.strangfuneral.org. Ivelisse “Evie” Ruiz Murphy, 50, a resident of South Milwaukee, WI, passed away Wednesday, October 12, 2016. She was born July 19, 1966, in Waukegan, IL to Osvaldo and Anna Ruiz. Evie loved all holidays especially Halloween and Christmas. 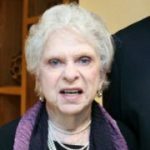 She was a member of the B’Nai Macccabim Temple in Des Plaines. Evie always had a smile and was able to make anyone laugh. Evie is survived by her children Siobhan Murphy, Alyssa Murphy, Paul Murphy, Kyle (Brittany) Murphy, her grandson Charlie Murphy, her boyfriend Bill Lygte, her step-father Paco Ortiz, and her former husband and father to her children Michael Murphy. She was preceded in death by her parents, her 4 aunts, and her step-sister Sybil. A visitation and memorial service is scheduled for Tuesday, October 18, 2016 from 5:00pm until 6:00pm with a memorial service commencing at 6:00pm at Strang Funeral Chapel & Crematorium 410 E. Belvidere Rd. Grayslake, IL 60030. In lieu of flowers, memorials may be made to the family. For more information please contact (847)223-8122 or log onto www.strangfuneral.org.